MOSCOW, RUSSIA - DECEMBER 11, 2016: People dressed as characters from Harry Potter novels take part in a parade in Novy Arbat Street. The parade marks the launch of the Russian edition of J.K.Rowling's new book titled "Harry Potter and the Cursed Child. Parts One and Two". 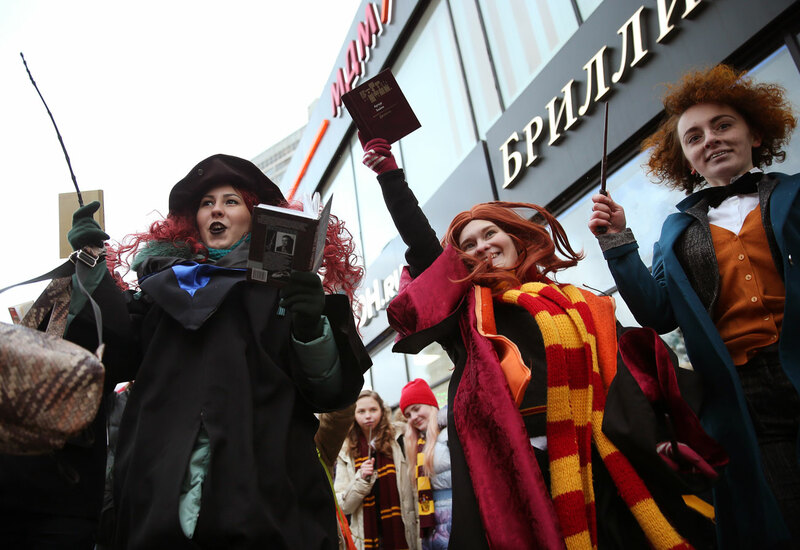 People dressed as characters from Harry Potter novels take part in a parade in Novy Arbat Street. The parade marks the launch of the Russian edition of J.K.Rowling's new book titled "Harry Potter and the Cursed Child. Parts One and Two".